Deepak Chopra was born and raised in New Delhi, India. The son of a prominent cardiologist, he attended the prestigious All India Institute of Medical Sciences, and embarked on a career in Western medicine. After graduating he moved to the United States and completed residencies in internal medicine and endocrinology. He taught at Tufts University and Boston University Schools of Medicine, became Chief of Staff at the New England Memorial Hospital, and established a large private practice. During this time, despite his apparent success, Dr. Chopra experienced a growing lack of fulfillment, and the nagging feeling that perhaps there was more he could be doing for his patients. These doubts led him to Ayurveda, the ancient science of healing from India. Dr. Chopra immediately recognized it as a system of health care that treated the person as a whole, rather than treating individual symptoms. Ayurveda taught him that the mind exerts a deep influence on the body, and that good health depends as much on inner balance and awareness as it does on healthy living. Through Ayurveda, Dr. Chopra was reawakened to the ancient spiritual traditions of the East, and his writing reflects the influence of ancient wisdom brought together with the best of modern science. His groundbreaking works blend physics and philosophy, the practical and the spiritual, venerable Eastern wisdom and cutting-edge Western science, with dynamic results. Dr. Chopra was the founder of the American Association of Ayurvedic Medicine. In 1992 he was appointed to the National Institutes of Health Ad Hoc Panel on Alternative Medicine and to the Scientific Advisory Board of Longevity Magazine. In 1993 he became Executive Director of the Sharp Institute for Human Potential and Mind Body Medicine, and chief consultant to the Center for Mind Body Medicine. 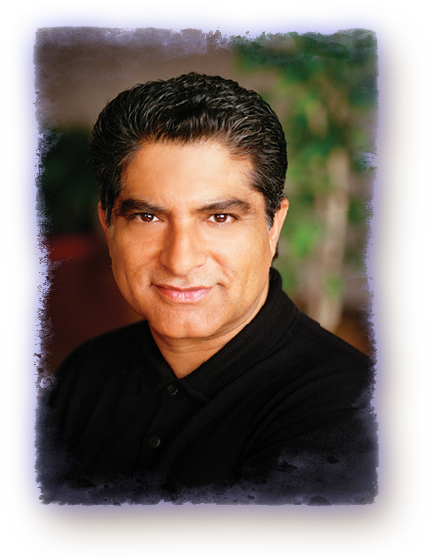 In 1995 he founded the Chopra Center for Well Being in La Jolla, California. His books have sold millions of copies worldwide, and have been translated into dozens of languages. Among his bestselling titles are The Seven Spiritual Laws of Success, Ageless Body, Timeless Mind, and Quantum Healing.